Providing you the best range of fuel pump diaphragms for oil industry with effective & timely delivery. We are offering high quality Fuel Pump Diaphragms for Oil Industry which are manufactured from high grade of raw material. Our range is reliable and presented at the optimum cost to suit the all types of budgets. 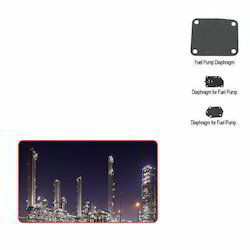 Looking for Fuel Pump Diaphragms for Oil Industry ?